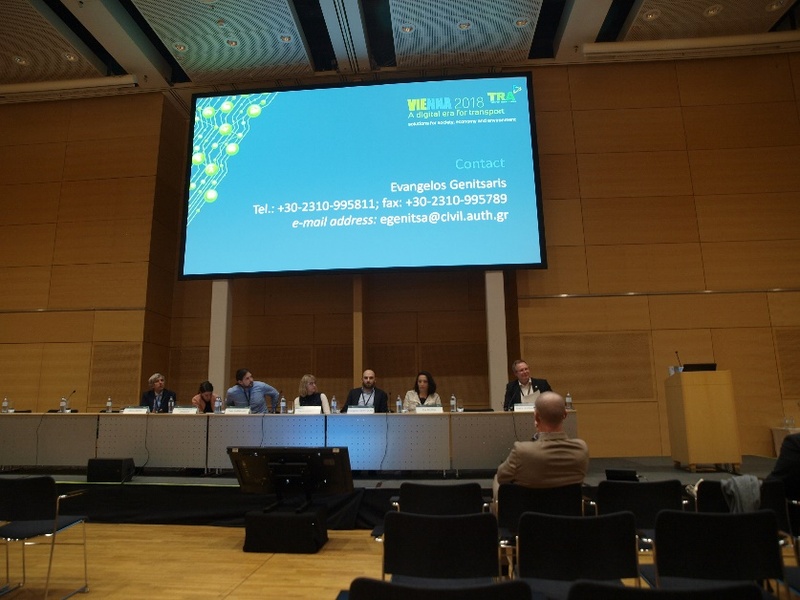 On 16-19 of April 2018, CIPTEC project’s results were presented in the Transport Research Arena (TRA 2018), which was held under the heading of “A digital Era for Transport”, in Vienna (Austria). 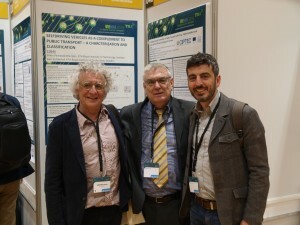 CIPTEC had active presence during the conference as six full papers have been accepted in total after peer-review for oral (3 papers) and poster (3 papers) presentation. 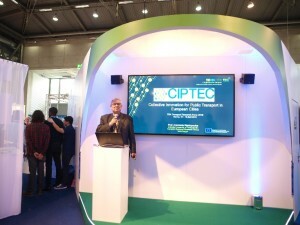 Additionally, prof. Aristotelis Naniopoulos of AUTh (the CIPTEC coordinator) disseminated CIPTEC project by giving a short presentation and by presenting the CIPTEC project’s video at the EC’s stand in the exhibition area of TRA. The first paper presentation was entitled “Developing the CIPTEC toolbox for the promotion of Public Transport Innovation”. Mr. Evangelos Genitsaris, the CIPTEC Deputy Project Manager (coming from AUTh/TSRG team), delivered the presentation on the CIPTEC Toolbox and tried to familiarize the audience with the online tool and its features. Mr. Evangelos Genitsaris also presented the second paper presentation, entitled “Evaluation of innovative ideas for Public Transport proposed by citizens using Multi-Criteria Decision Analysis (MCDA)”, explaining the assessment process of selected ideas resulted from the collective intelligence’s processes, by using a Multi-Criteria Decision Analysis (MCDA) method, in particular the Analytic Hierarchy Process (AHP). The third paper presentation, entitled “Investigating the preferences of individuals on Public Transport innovations using the Maximum Difference Scaling method” was delivered by Dr. Dimitrios Nalmpantis (AUTh/TSRG team). Dr. Nalmpantis presented the process and the results of a survey, carried out within CIPTEC project, which aimed to measure Public Transport users’ preferences along specific innovations. 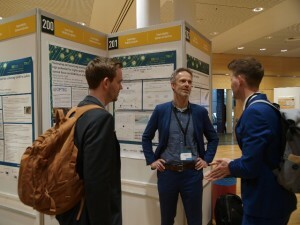 During the Conference’s poster sessions other three CITPEC full papers were presented. Mr. Ilias Trochidis, coming from Tero (CIPTEC partner), presented the poster entitled “Crowdsourcing for Innovation in Public Transport: planning, implementation and results of five different campaigns in Europe”, which discussed the crowdsourcing initiatives within CIPTEC and highlighted the strengths and the weaknesses of their implementation in five different European contexts. 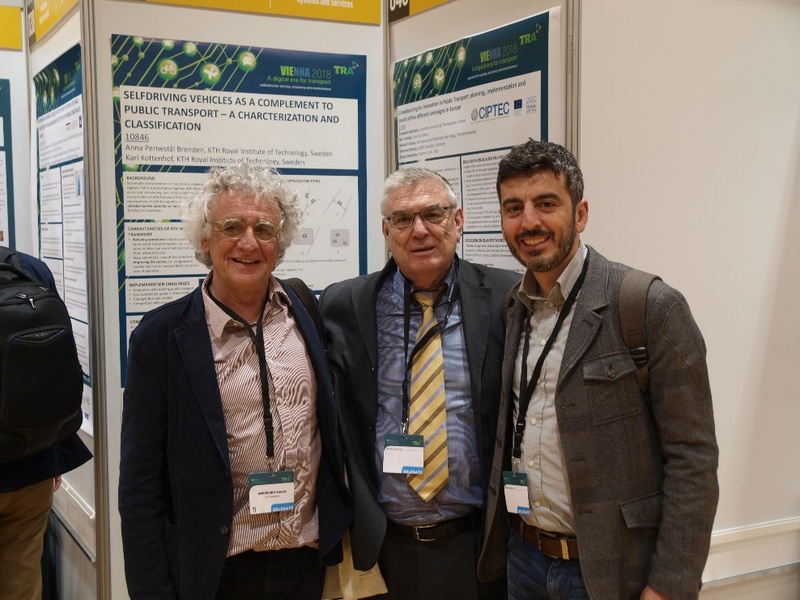 Prof. Aristotelis Naniopoulos presented the poster entitled “Co-creating innovation: concepts and ideas for Public Transport resulted through participatory processes applied in four different urban areas of Europe”. 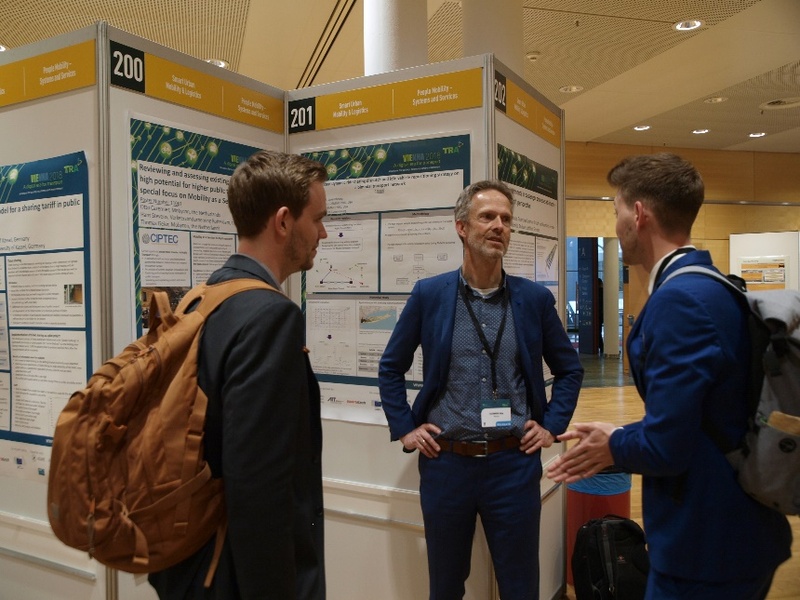 This poster discussed, the process and findings of the eight co-creation workshops implemented within CIPTEC project, as a mean to enable creative thinking and exploit the “collective intelligence” of the participants. Finally, Mr. Otto Cazemier, coming from Mobycon (CIPTEC partner), participated in the conference by delivering a poster presentation entitled “Reviewing and assessing existing innovations with high potential for higher public transport use, with special focus on Mobility as a Service (MaaS)”. 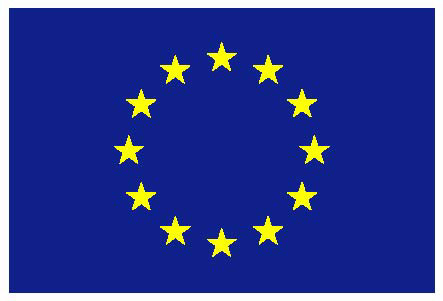 Mr. Otto Cazemier presented an in-depth discussion of MaaS and its practical application in the Netherlands, linking the topic with insights derived from the CIPTEC project.